The Australian Government is backing small to medium-sized enterprises (SMEs) to help build the nation’s sovereign capability to keep Australia safe and secure. A dedicated annual grants program will provide up to $17 million to Australian SMEs to grow a deeper and broader Australian defence industrial base to support the Australian Defence Force (ADF). The more Australian industry can contribute to meeting the ADF’s capability needs, the greater prosperity and security we will all enjoy. The Sovereign Industrial Capability Priority Grants program, launched today, supports the ten Sovereign Industrial Capability Priorities critical to the ADF’s operational requirements, identified in the 2018 Defence Industrial Capability Plan. The plan concluded Australia’s defence industrial base is mostly composed of SMEs. This grants program aims to ensure Australian businesses have the capacity and resilience to support Defence’s most critical capabilities. The grants program will provide support to eligible Australian SMEs with fewer than 200 employees. A business can receive an unlimited number of grants over the life of the program, with a minimum value of $50,000 and the maximum value of $1 million and up to a total of $3 million over a three-year period. The grants will help SMEs meet up to 50 percent of eligible project costs including capital equipment, specialist software and security infrastructure, non-recurring engineering costs, design activities or enhancing workforce training and accreditation. The Liberal-National Government is delivering the largest modernisation of the ADF since the Second World War, investing more than $200 billion in defence capability over the next decade. Involving Australia’s SMEs in this major renewal of Australia’s defence capability will grow our industry and economy, helping create new jobs. The grants program will be delivered through the Centre for Defence Industry Capability. 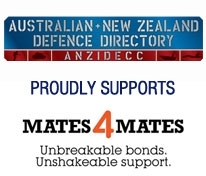 More details at: www.business.gov.au/centre-for-defence-industry-capability.